Briana Hardwick practices primarily in the area of family law with a particular focus on complex family law litigation. Ms. Hardwick also continues to practice in certain discrete areas of civil and commercial litigation including, inter alia, commercial arbitration, appellate advocacy and shareholder disputes. Ms. Hardwick earned her Bachelor of Laws Degree, with distinction, from the University of British Columbia and was the recipient of several honours and awards for excellence in academic achievement and oral advocacy. Prior to being called to the bar, Ms. Hardwick served as a Law Clerk for the British Columbia Supreme Court. That experience has afforded her with insight to and a practical understanding of the judicial system which she brings to bear on her client’s cases. 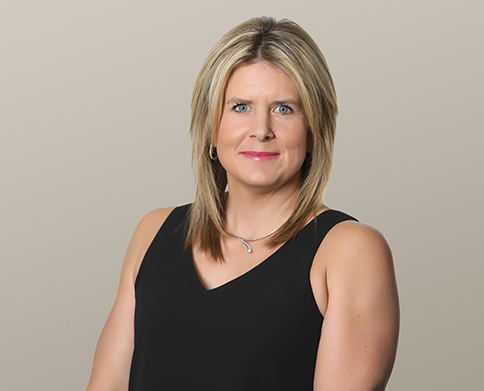 Since entering private practice, Ms. Hardwick has appeared as counsel in the Supreme Court of British Columbia, the British Columbia Court of Appeal, the Provincial Court of British Columbia, the Federal Court, the Tax Court of Canada and certain administrative tribunals. Ms. Hardwick has also appeared as counsel in commercial arbitrations, family law arbitrations and numerous civil and family law mediations. In recent years, Ms. Hardwick has chosen to focus her practice primarily on family law disputes and is now the head of the family law department at Rush Ihas Hardwick LLP. In that capacity Ms. Hardwick handles all manner of family law disputes with a particular focus on complex and high conflict family law litigation. Ms. Hardwick is a lifelong Kelowna resident and enjoys spending her time away from the office skiing, boating and otherwise enjoying all of the outdoor activities that the Okanagan has to offer.